For Brian O’Rourke, a 40 plus year rugby tragic and player, it was those same characteristics which empowered him to build a small two-person business in Canberra into a multi-award winning national enterprise. Established some 20 years ago in the spare bedroom of a rented high rise apartment in Kingston, Rork Projects is now one of Australia’s prominent fitout and refurbishment companies offering comprehensive and tailored solutions to both corporate and government sectors. From such humble beginnings, Rork Projects now proudly boasts over 40 staff working across offices in Canberra, Sydney, Melbourne and Brisbane – who run up to 25 projects at any one time across the nation. “It’s been an exciting 20 years of growth,” Brian remarks. As the Managing Director of Rork Projects, Brian pinpoints the company’s success to strong values, exceptional service and the support by an extremely professional and talented team with clear systems. “I sometimes have to pinch myself to see what the company has developed into,” he says. For Brian, one such moment was during a recent site visit on a project in Melbourne where Rork Projects are refurbishing 17 floors of an A-Grade building and adding an end of trip facility – (designated places that support cyclists, joggers and walkers in using alternative ways to travel to work). “I thought to myself ‘not bad for a company built by myself and wife Angela’,” he concluded. Brian’s love and connection to our nation’s capital was cemented through his parent’s move to Canberra from Sydney in the late 60’s and his studies at Marist College Pearce from 1977 until the mid-80s. The O’Rourke’s strong family environment championed a spirited belief to achieve anything regardless of circumstance, or barriers and gender. “I was very lucky to grow up with five strong independent sisters – all of whom enjoy fantastic careers, business and families – there was never any talk about limitations,” Brian noted. 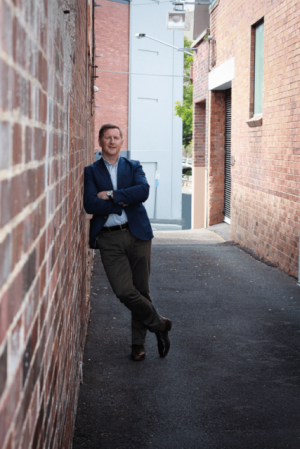 Since leaving school and establishing his own business, Brian has witnessed firsthand Canberra’s dynamic innovation and growth in the business sector. 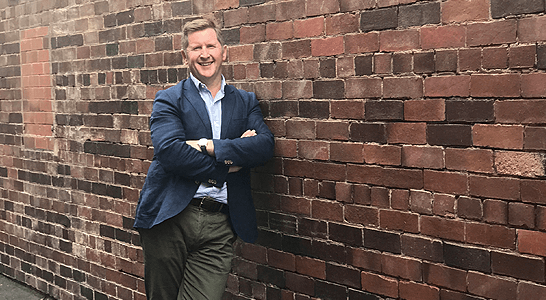 Civium is another company headed up by Doug O’Mara that has seen fantastic growth with their move into Sydney. Rork Projects has built several offices for this fast moving property company. Rork Projects excellence in quality and service has been recognised with a number of outstanding industry awards. Our first award, was the 2006 MBA Award for Fitout under $1M for the Mocca Espresso Lounge in Scarborough House. In 2013, Rork Projects was awarded the ACT MBA Award for Conservative/Heritage refurbishment after redeveloping the Giralang Pre-School for a Jewish childcare and community centre. The following year, the company was again successful; winning another ACT MBA Award for the extensive office fit out for CPA Australia’s Rudd Street headquarters in the City. At the 2015 NSW MBA Awards, Rork Projects was again recognised for their innovative fitout for McGrath Real Estate in Revesby. 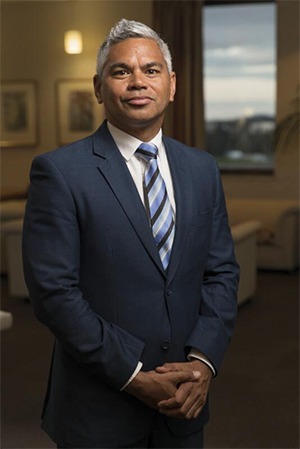 As Rork Projects was growing rapidly in Australia, a similar company, under the leadership of Johannesburg-based Scott Lamb, was marking its mark in South Africa. Although business was good, Scott wanted a better lifestyle for his family. “It was too dangerous for my children to leave home on their own, and after our sixth burglary, I thought that’s it, and started making plans to move to Australia,” Scott explained. It was after a Lions v Brumbies rugby game in 2007 and a meeting with the ACT Government’s Canberra Your Future initiative where Scott and his family first considered a move to Canberra. “The beauty, the security, the wide open spaces; this was the life we wanted for our children. So we packed up, sold the business and moved to Canberra in February 2011,” Scott said. 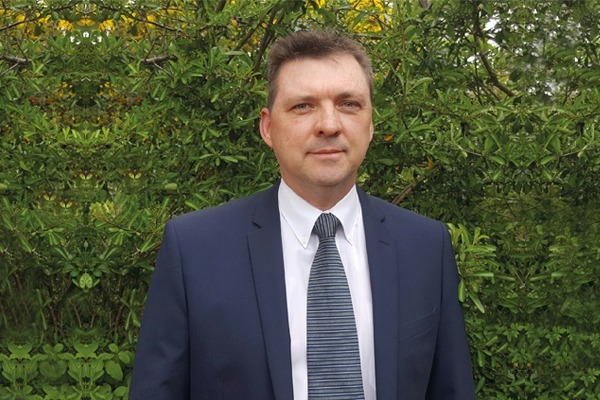 When Brian first met Scott, he was immediately impressed with his knowledge and experience and appointed Scott as Business Development Manager. ‘Scottie knows the building industry inside out; he is the complete package. “From a formal architectural background, he is able to run projects from the design all the way through to the back end. He works closely with our clients providing invaluable advice on products and the most cost effective build,” Brian said. In 2016, Scott was appointed ACT General Manager heading up a growing team of 12 people. “This year, we are doing a number of design and construct projects. We see ourselves as a service company as much as a construction company and pride ourselves in our reputation for value-adding to our clients,” Scott said. Rork Projects has teams working across Canberra on numerous and varied jobs that demonstrate the companies’ knowledge and flexibility across the building industry. Those jobs include a 1600sqm fitout for ACT Together for over 100 staff with specifically designed meeting rooms for supervised child visits, a bespoke design and construct project for an accounting firm in Kingston, and an exciting and challenging project for the Department of Human Services Innovative Centre in Tuggeranong. The team is also working closely with Macquarie Telecom designing and constructing a challenging technical fitout for expansion of their secure data centre facility. Scott believes Rork Projects strength in Canberra is in the refurbishment and fitouts of the rapidly developing commercial sector, government departments and the growing education sector. “A number of B, C and D class buildings in Canberra need refurbishment and we are the perfect company with extensive experience to deliver these asset repositioning projects,” Scott concluded. 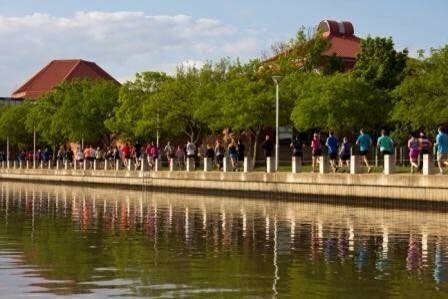 Working in Canberra for the past 20 years Rork Projects is proud to support many local community events and projects. 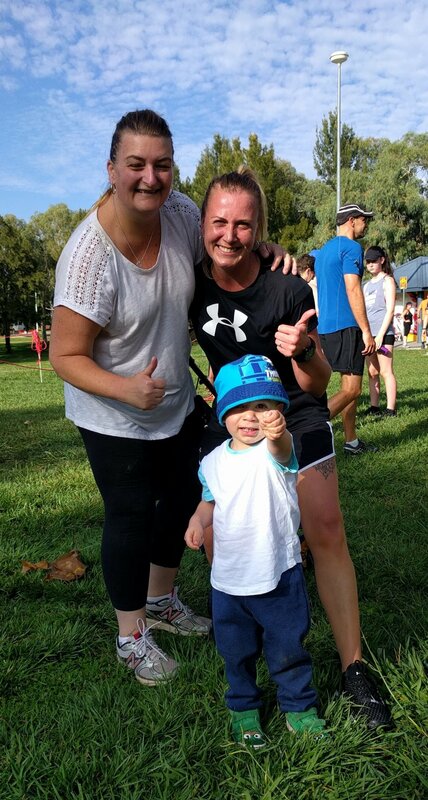 In addition to supporting social initiatives like OzHarvest, Mix 106.3 Canberra Special Children’s Christmas Party and Brainstorm for a Cure, the company is also committed to developing local rugby and is the platinum sponsor of Easts Rugby, the club Brian played for after leaving school. Rork Project is also a National sponsor of the Property Industry Foundation. 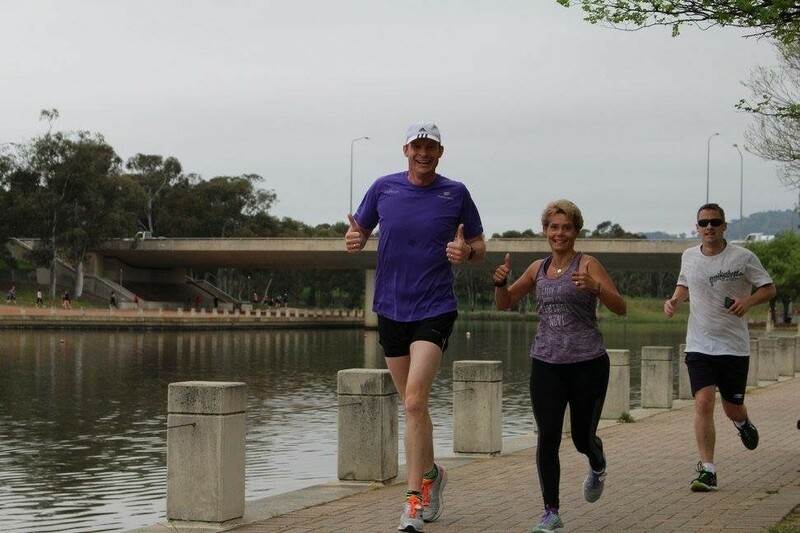 “Rork Projects works across such a wide sector of the Canberra community including federal and local government, education, retail, real estate and the corporate sectors and we like to contribute and ‘put in’ where we can,” Scott explained. The distinctive Rork Projects’ utes and team are now often seen outside many of the new developments and buildings in Canberra. From a quaint bookshop in Kingston to the Australian Office of Financial Management in the Treasury Building, to the many and varied government departments, Rork Projects is on the ground, working closely with clients to manage the projects. Rork Projects has a broad range of skills and talents, but it is the company’s reputation for communicating and working in partnership with clients that sets Rork Projects apart. “We listen to our clients and ask loads of questions to ensure we are across every small detail. Then, we gather together our experienced team and meticulously map out the project plan. We make it a priority to communicate with our clients regularly and update them on the project,” Scott said. The Rork Projects office is buzzing with activity today. There is a team meeting in the board room pouring over plans and another group have jumped in the ute to attend a site visit in Tuggeranong. Two more people have been employed today and it is predicted the team will double in the next four years. It is hard to imagine only 20 years ago this highly regarded national fitout and refurbishment company started from a spare bedroom in an apartment in Kingston. “We are very proud of the growth and development of our company, but it is our wonderful and talented staff and the excellent work they produce for our clients that I am proudest of. It has been an incredible 20 years. I can’t wait to see what will happen in the next 20 years,” Brian said.